A cultivar of Prunus avium L. Fruit; large to very large, roundish to heart-shaped. Skin; pink to dark red, rarely red all over, on a pale yellow ground, with a few dots and streaks. flesh; pale yellow, between soft and firm, juicy, sweet, distinctive flavour, stone small to medium. Produces a vigorous tree, upright and spreading. Good quality fruit with a tendency to crack. A late-mid season cherry. [Grubb]. ‘Amber Heart’ is not described under this name in most 18th century Pomologies. It may be synonymous with ‘White Heart’ which see. Figured as ‘Amber Heart’ in Pomona Brittanica [PB pl.XI/1812] which also figures ‘White Heart’. 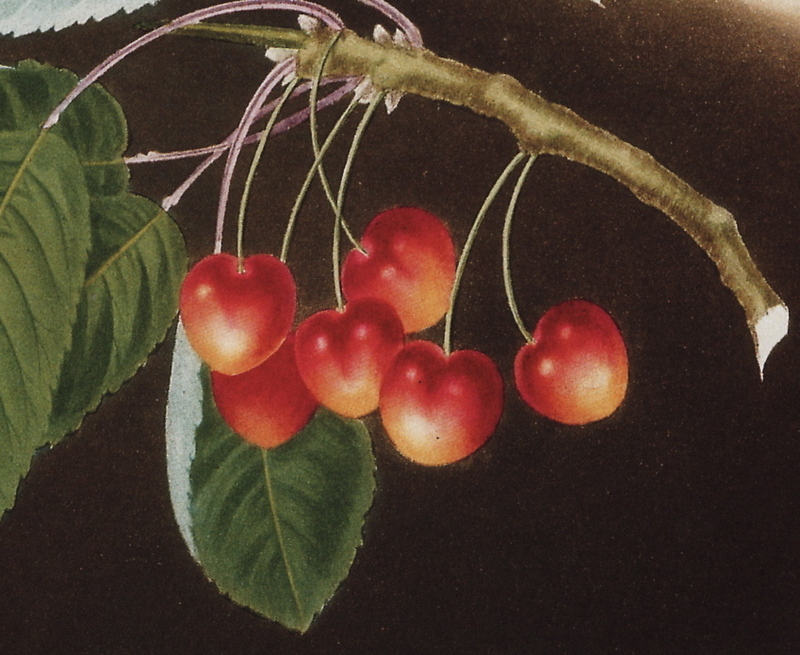 Listed in the 1845, 1850 and 1857 catalogues [Cherry no.3/1845].